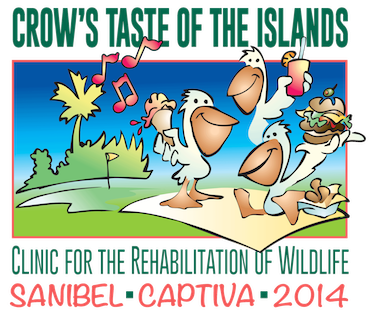 Day 1 of 100 Things to do on Sanibel & Captiva takes us to CROW's Taste of the Islands on Sunday, November 16th. The annual event will be held from 11am-4pm at The Dunes Golf & Tennis Club. Proceeds will go to the Clinic for the Rehabilitation of Wildlife (CROW), an organization that treats and cares for injured wildlife. I have used CROW's services numerous times, and they are an incredibly helpful organization! Tickets are $5 at the gate. Children 12 years and younger are free. During the Taste of the Islands, you will be enjoying delicious food from over 20 restaurants, music from local bands, and lots of fun! Grab your sunglasses, cash, lawn chairs and be ready to have fun supporting CROW! For more information be sure to check out the Taste of the Islands website as well as the Taste of the Islands Facebook page. 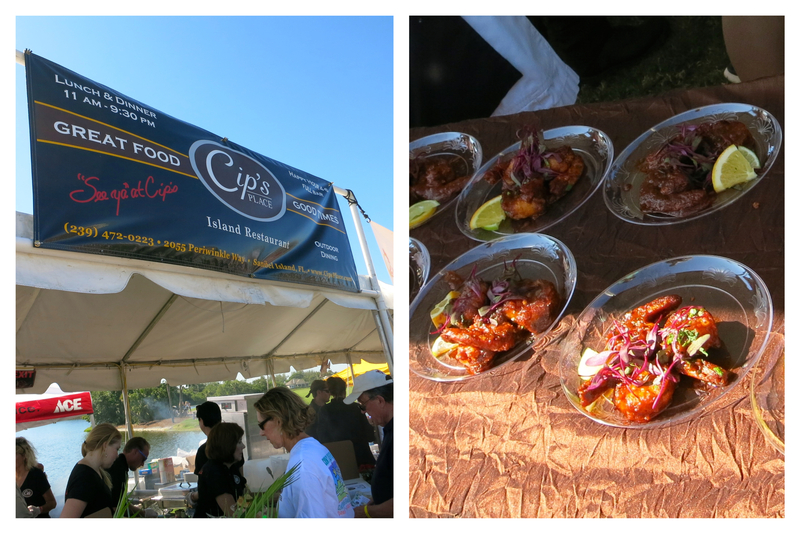 Check back after Taste of the Islands for videos and photos we took from the event! 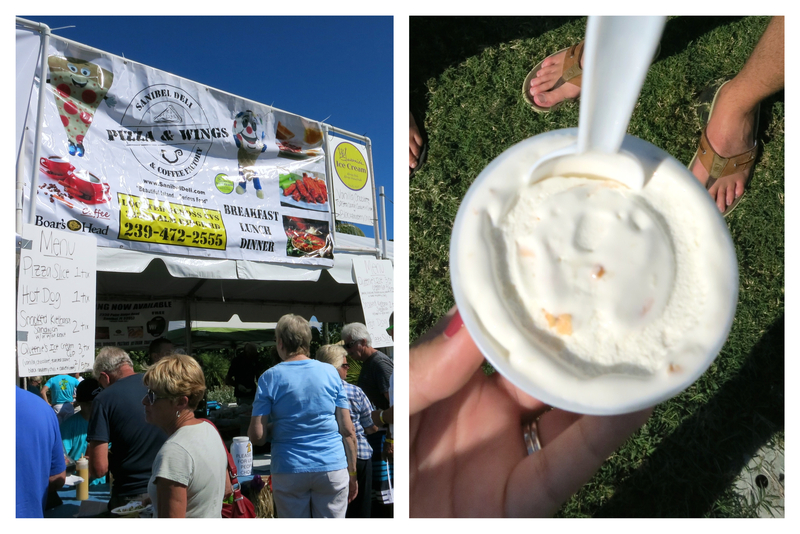 We had a great time at Taste of the Islands yesterday! Great food, great music, and great people! We arrived around 12:30pm and The Dunes was packed! It is good to see that the last minute date change did not hurt attendance! If anything, the event got extra publicity for it. After paying our $5 entrance fee and purchasing quite a few "Crow Bucks" (money used to purchase food/drinks at the tents), we headed over to check out the silent auction. There was beautiful artwork, restaurant gift cards, hotel stays, as well as many other items up for auction. We put our names down on a couple of things, but ended up getting outbid in the end. Now it was time to eat! 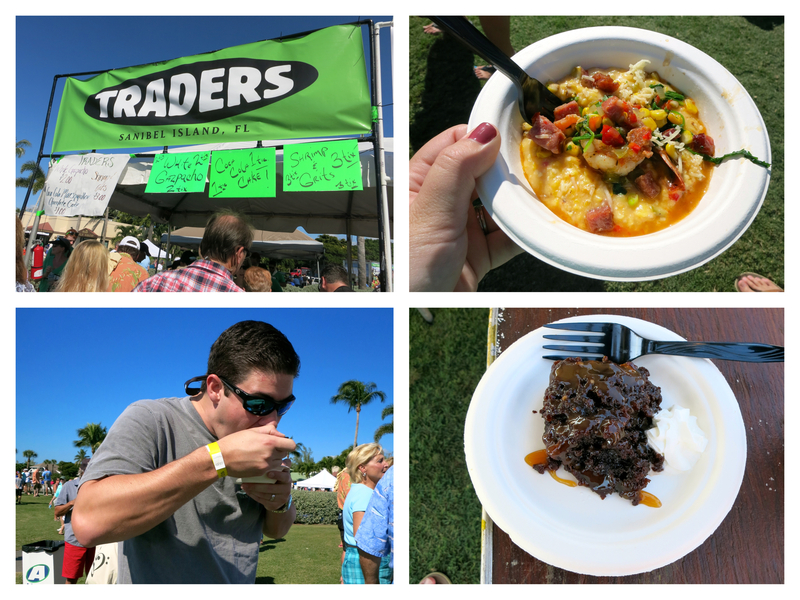 Traders proved to have some excellent dishes with their Shrimp & Grits and their gooey Coca Cola Cake! Brendan loved them! Probably why they won People's Choice award for the second year in a row. 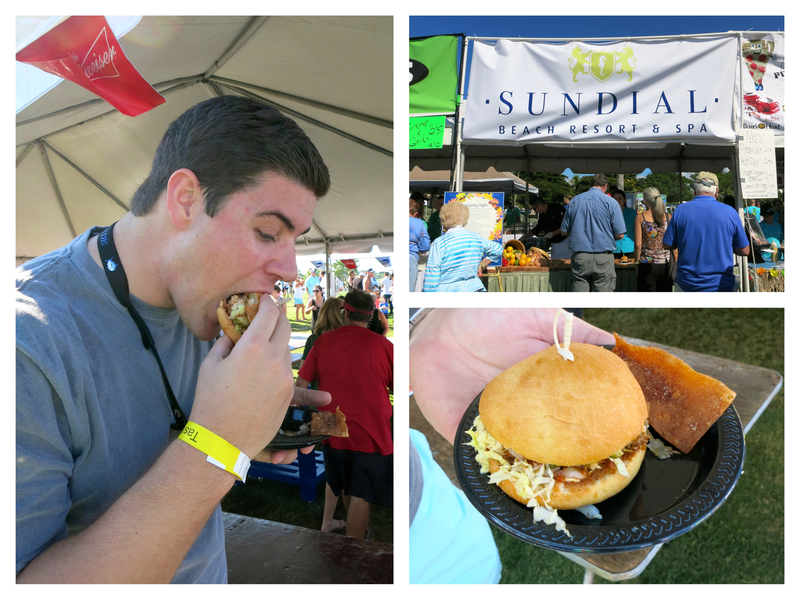 The Sundial debuted their new logo at Taste of the Islands and served an Ahi Tuna Burger. Flavors were great, even though I prefer rare tuna, but I understand they have to cook for the masses. It was served with a delicious cinnamon wonton! 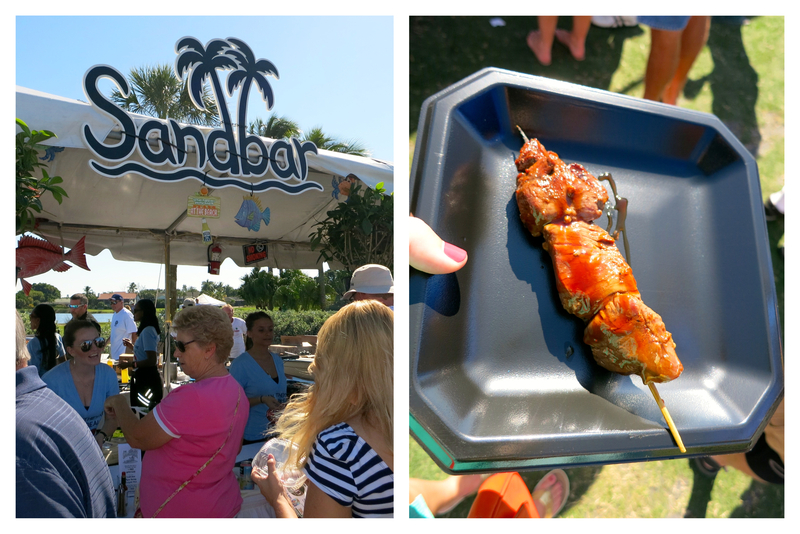 The longest lines were in front of the Sanibel Deli's booth. It was probably due to their $1 pizzas and hot dogs, and $2 keilbasa sandwiches and Queenie's ice cream. What a deal! Brendan had a pizza and I had my favorite ice cream: Queenie's Toasted Coconut. Delicious! The Sandbar won The Tast of the Taste award and had one of my favoite dishes of the day. The Teriyaki Filet Skewers were amazing! Great flavor and we were impressed with the portion served! Brendan and I have been wanting to try Fresh Taqueria and we are glad we finally got an opportunity! 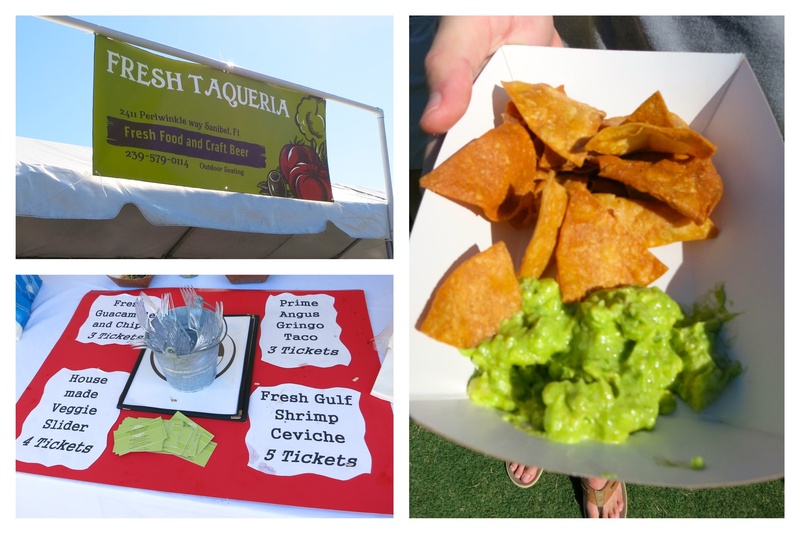 I have an obsession with quacamole and Fresh Taqueria's did not dissapoint. You could tell the chips were homemade and that made all the difference! 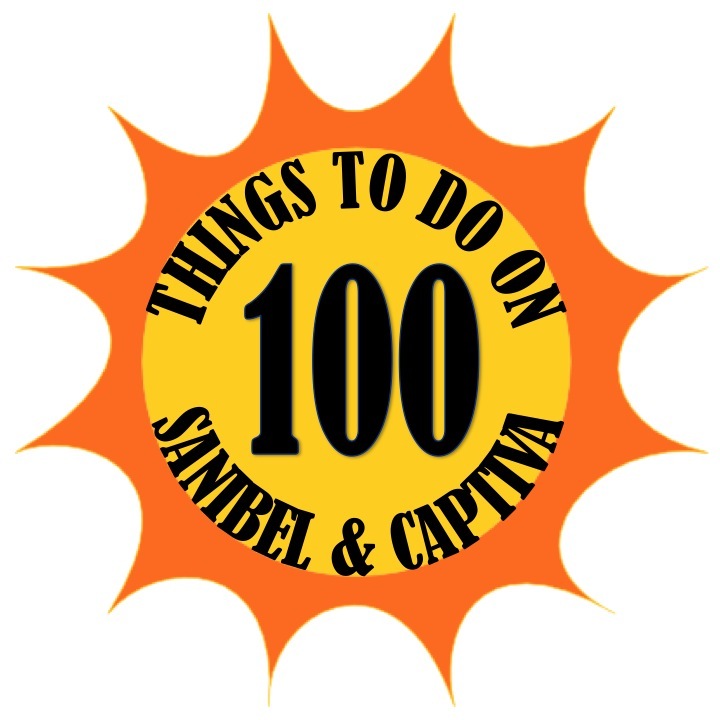 We will definitely be heading to Fresh Taqueria and feature them on 100 Things to do on Sanibel & Captiva! Cips is one of our favorite restaurants on the island and when we go we always order the BBQ Shrimp, so we were so glad to see it on their Taste of the Islands menu. It is not your typical BBQ flavor but it is incredible with a slight kick of heat. 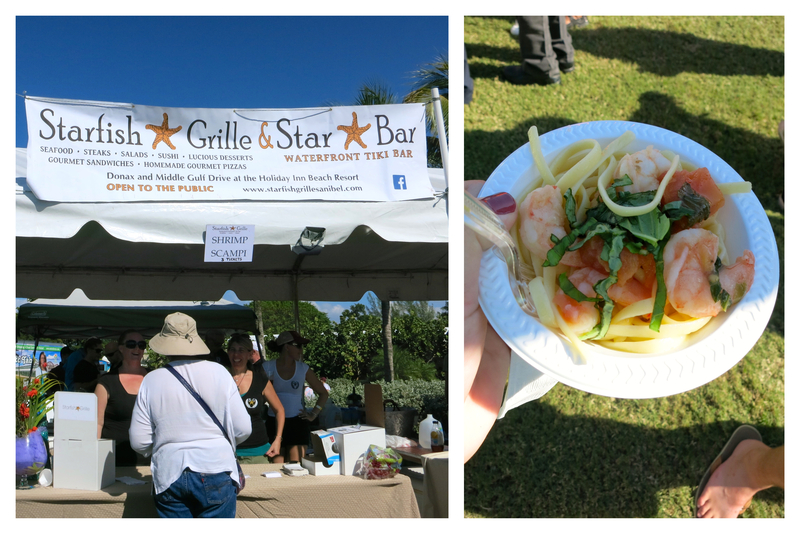 My favorite pasta dish of the day was the Shrimp Scampi from the Starfish Grille. Nice sized shrimp and a good amount of acid in the sauce. Tasted great and a nice presentation!